Since September 2018 there has been an increase in the number of significant terrorist attacks carried out in Judea and Samaria. Five adults were killed in the attacks, and a three-day-old baby, born prematurely because of his mother’s injuries. During 2018 54 terrorist attacks were carried out in Judea and Samaria. About half (26) were carried out in September-December (12 during the same period in 2017). Most of the attacks were stabbing, vehicular and shooting attacks. Three were lethal shooting attacks, which took the lives of four adults and a baby. However, despite the rise since September 2018, there has been annual decline since the peak of popular terrorism, which began in September 2015. Alongside the increase in terrorist attacks, the routine continues of stone- and Molotov cocktail-throwing, and the placing of IEDs in Judea and Samaria. Dutch parliament passes motion to cut funding to PA 3 weeks after PMW lecture exposing PA's terror rewards. 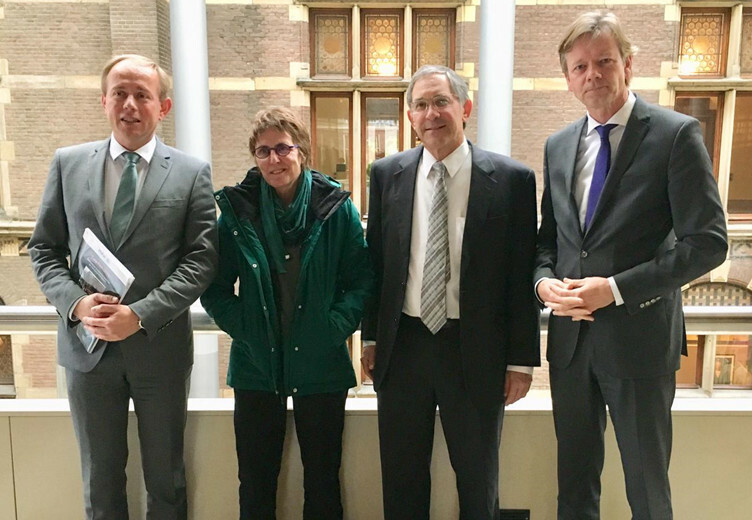 Just three weeks after Palestinian Media Watch Director Itamar Marcus spoke to Dutch MPs in November, the Dutch Parliament voted 94-56 to cut 7% of Dutch funding to the Palestinian Authority. The cut of 7% was chosen because PMW documented that the PA spends 7% of its budget on payments to terrorists in jail and to families of killed terrorists (“Martyrs”). The Dutch motion is binding unless the PA stops these payments. Israeli Prime Minister Binyamin Netanyahu is challenging one of the fundamental pillars of the two-and-a-half-decades-long peace process by proffering that the creation of ties with Arab-Islamic countries can not only precede but also advance the prospects of forging a long-elusive deal to end the conflict with the Palestinians. The Palestinian terrorist who killed a 4-day-old baby in last Sunday’s shooting attack is being publicly mourned by the Palestinian Authority after he was eliminated by the IDF. Saleh Omar Saleh Barghouti opened fire on a group of Israelis near the Jewish community of Ofra, critically injuring a pregnant woman. Her baby, a boy, was delivered by an emergency cesarean section, but he passed away on Wednesday. In a separate incident on Wednesday, Ashraf Walid Suleiman Na’alwa, who killed two Israelis at the Barkan industrial complex in October, was also cornered and killed. A Palestinian man this week attended a Knesset meeting and described torture he was subjected to while in the Palestinian Authority’s custody for collaborating with Israel and preventing terror attacks. In rare Knesset discussion, Walid says he and other suspected collaborators were forced to carry heavy cinder blocks; official says government seeking to up pressure on Ramallah. Tearful and angry, the man recounted his detention during an unusual discussion on Tuesday at an Interior Committee discussion that dealt with Israelis and Palestinian collaborators arrested by the PA, which was called following the arrest of a different man, Isaam Akel, two months ago on suspicion of selling land to Jews. The House of Representatives on Tuesday passed legislation targeting individuals responsible for Hamas and Hezbollah's use of human shields as a war tactic in their battles with Israel. The legislation, titled the Sanctioning of the Use of Civilians as Defenseless Shields Act, now goes to the president's desk for his signature.